It's less than 24 hours before sister teams-slash-bitter rivals San Miguel Beermen and Magnolia Hotshots Pambansang Manok engage in all-out war for the 2017-18 PBA Philippine Cup championship. The Hotshots are standing in the way of the fourpeat-seeking Beermen, so expect coach Leo Austria and his boys to give it to coach Chito Victolero's wards, who are in the Finals for the first time since their last title during the 2014 Governors' Cup. 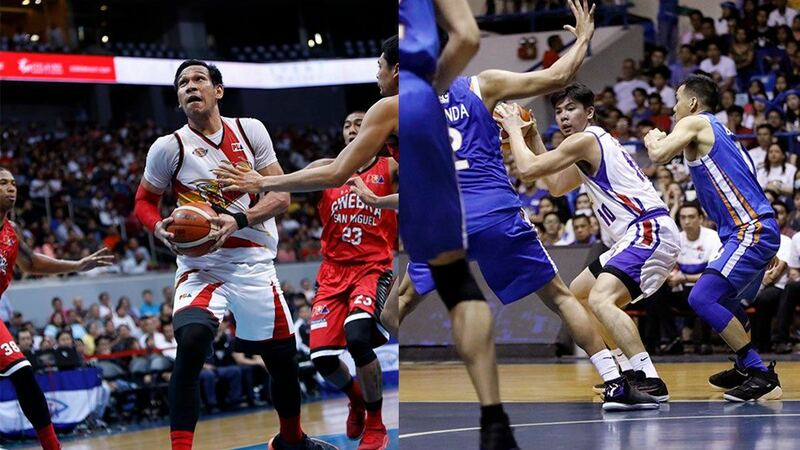 San Miguel's OP starting lineup will be led by four-time reigning Most Valuable Player June Mar Fajardo, while Magnolia tries to be SMB's foil using their dangerously balanced attack. Three words: Four-straight MVPs. Credit Sangalang for his drastic improvement this season (second in team scoring and rebounding), but the No. 2 pick of the 2013 draft has a long way to go before being mentioned in the same breath as the five-time champ. If anything, the Magnolia pivot should make the most out of this opportunity to prove his worth against Fajardo, arguably the most dominant player in PBA history. Tell us who between the two former FEU Tamaraws is about to turn 37 years old. It's astonishing to watch Santos still at it in his 12th year—his evolution from 2013 MVP and two-time DPOY to elite stretch four. In contrast, Ramos is just starting to come into his own after bouncing around the league in his first few years as a journeyman. Marc Pingris (6.7 ppg 9.3 rpg 3.1 apg 1.1 bpg) would've fared better against the Spiderman, if the former didn't injure his ACL. Just like most of the head-to-head matchups in this list, the player comparison at the 3-spot is rather unfair. Dela Rosa only doubled his career-high in minutes per game this season (25.3), while Lassiter has been averaging more than 30 mpg as member of the Beermen's dreaded All-Filipino five for seven years now. The Hotshots swingman will have to rely on his defensive teeth in trying to stop Super Marcio from shooting them down. When healthy, Lee is simply unstoppable from anywhere on the court. The Angas ng Tondo has the same clutch gene that his backcourt rival Cabagnot possesses, so this will be one helluva face-off. Captain Crunch will see extended minutes to steady the SMB ship, unlike Lee, who has to fire on all cylinders to give his team a fighting chance. And for having the more indispensable player in this position, Magnolia finally wins a round. This was hard to determine, considering Ross is the reigning and back-to-back Philippine Cup Finals MVP. But the 2017 Commissioner's Cup BPC is coming back from a strained right thigh, and despite him getting much-needed rest, Barroca has shown enough poise versus the explosive guards of NLEX to score another point. Although we're not saying count out the San Miguel point guard, who could regain his form as early as Game 1 and prove us wrong. SMB reserves aren't exactly scrubs, it's just that for some reason, Austria doesn't like playing them for more than 20 minutes, except maybe for MGR. 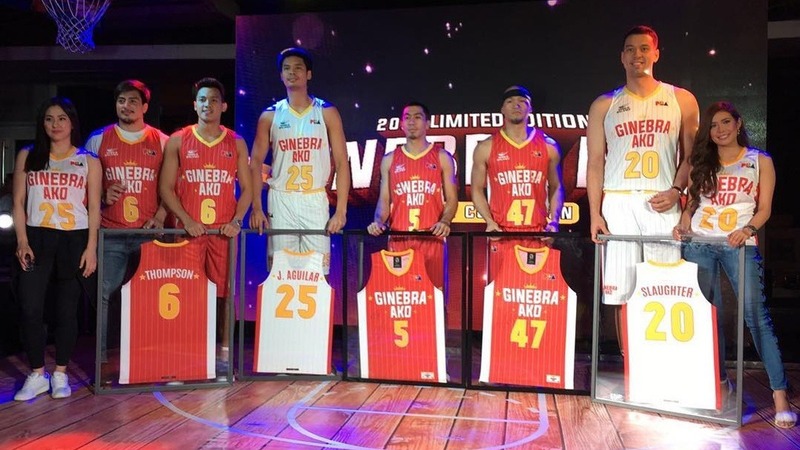 This is where Victolero gains the upper hand, as the first-time Finalist still has veteran swingman Peter June Simon and other viable contributors in the fold. When all is said and done, though, the fact that Coach Leo's trophy case still shines more than Coach Chito's bare cupboard still makes the Beermen a very tough out for Magnolia.